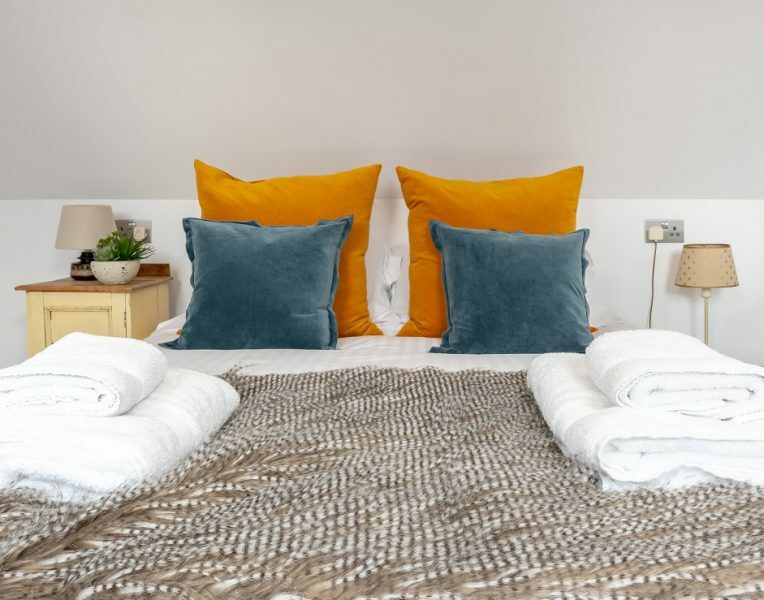 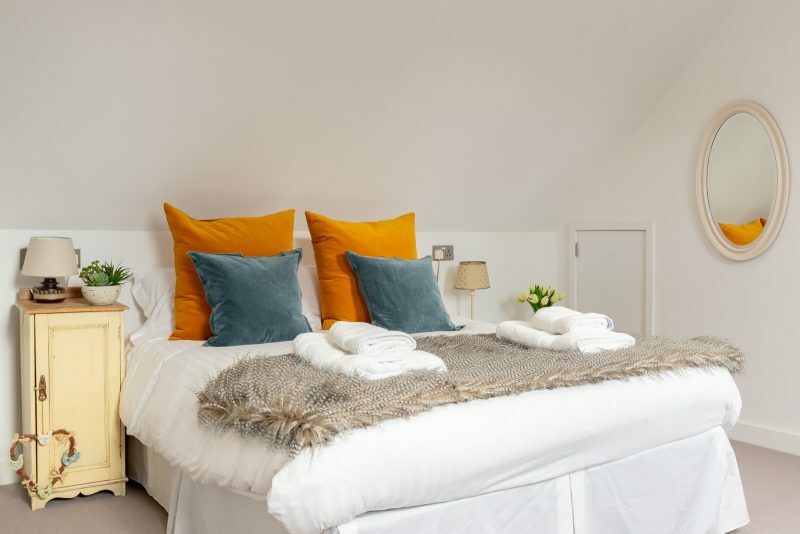 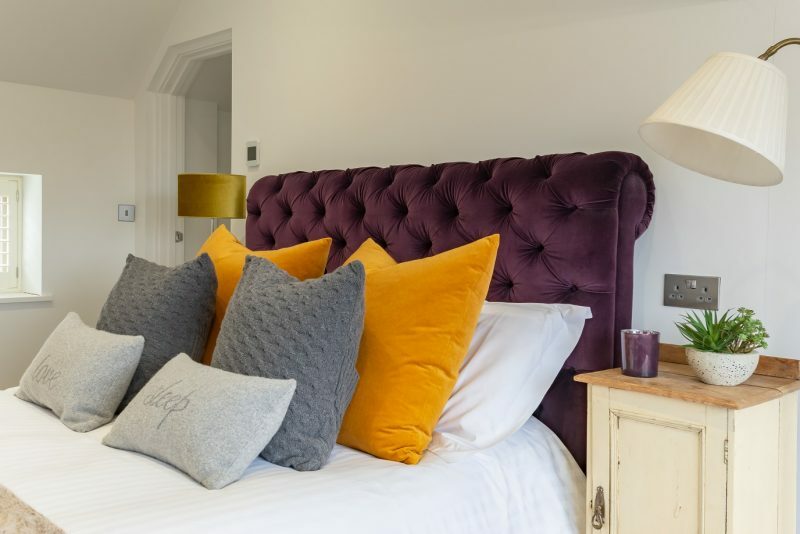 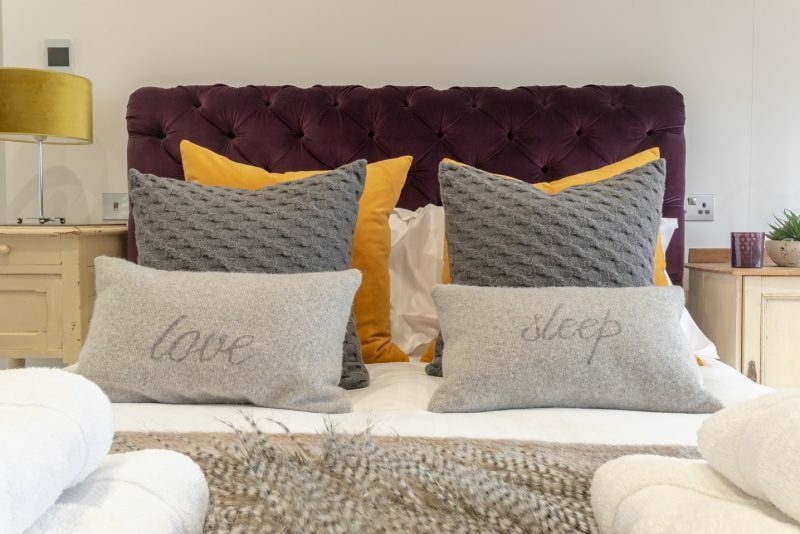 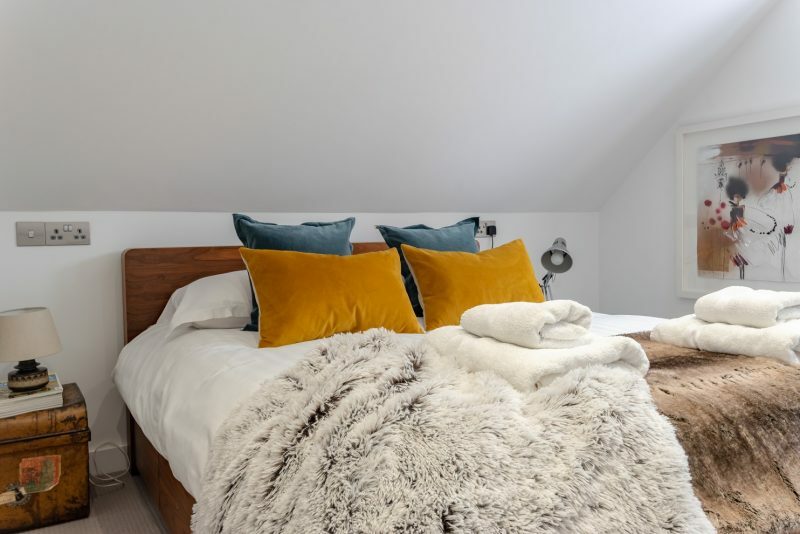 We are very excited to be able to offer our discerning guests the stunning ‘Thorpe Cloud’ which has been superbly renovated and extended to provide the most wonderful, luxurious accommodation for six guests in three bedrooms all with en-suite facilities. 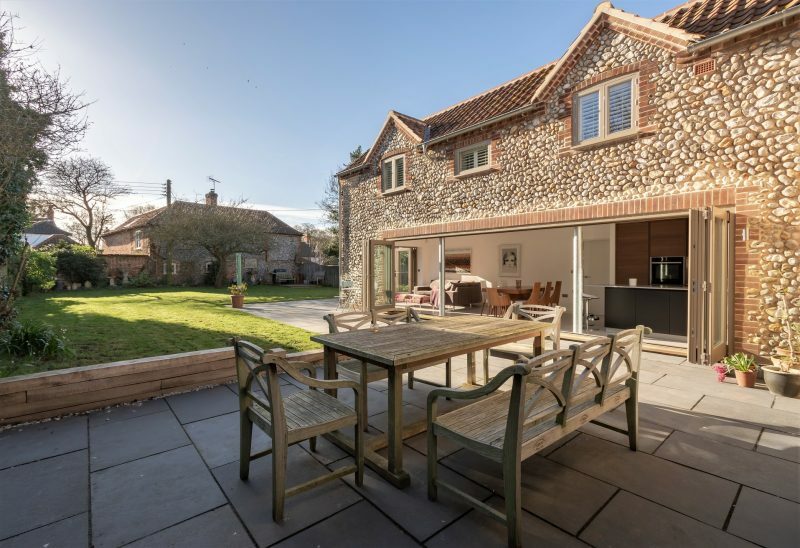 Sitting in a lovely quiet spot on Back Lane in Blakeney, just a short walk to the Quay, it also benefits from a good sized enclosed garden with sun terrace, parking for four cars and distant sea views from the master bedroom. 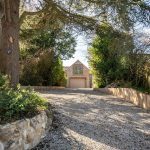 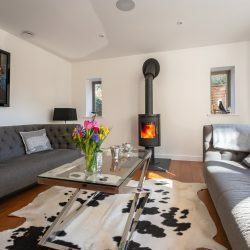 The house is open, light and airy for the warm summer months and yet cosseting and cosy for winter visitors with its full oil central heating and log burning stove. 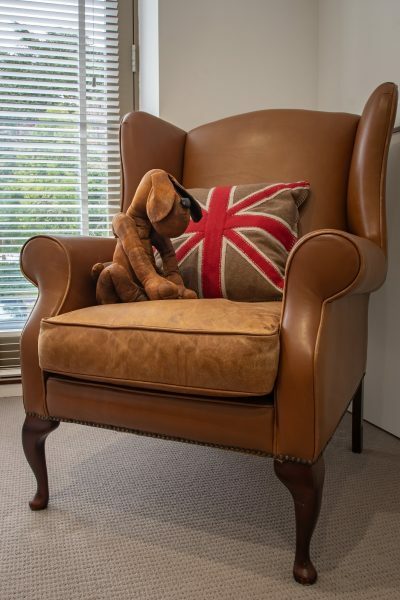 The owners are happy to accept two well-behaved dogs so long as house rules are adhered to. 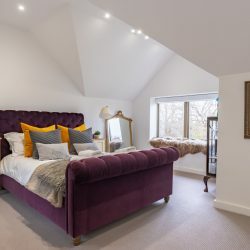 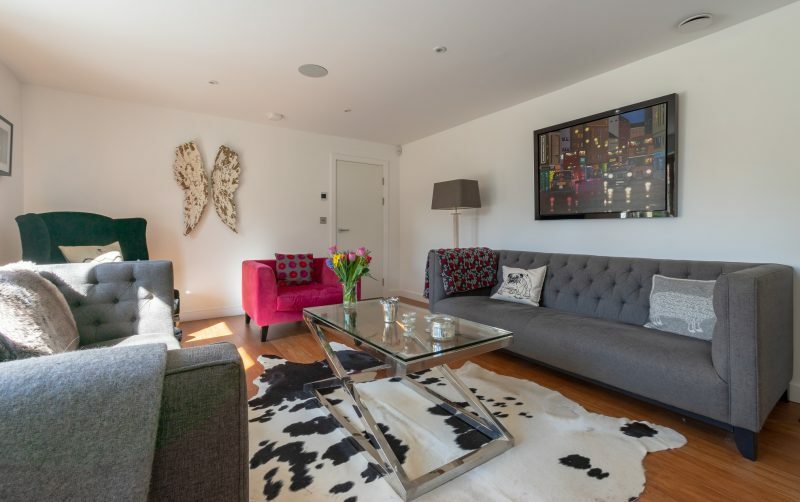 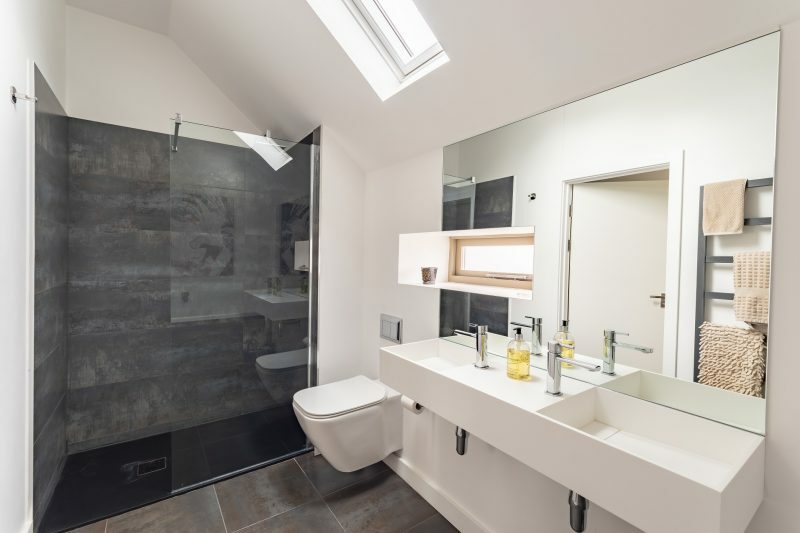 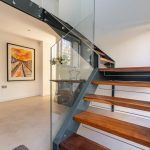 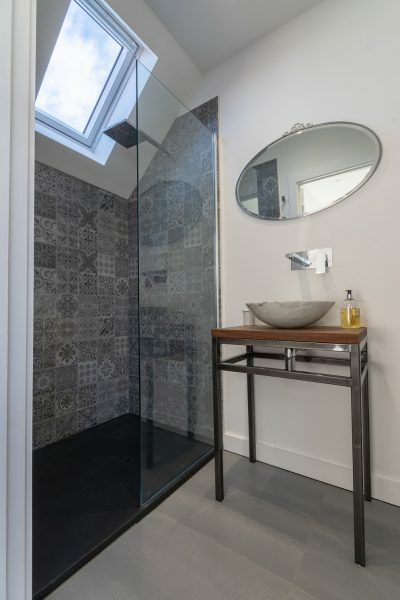 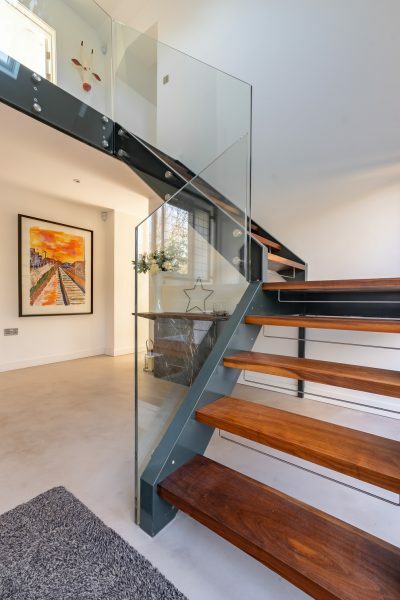 Gorgeous contemporary, high-end fittings throughout are perfectly offset with comfortable furnishings and an attention to detail that will really make guests feel at home in this beautiful house. 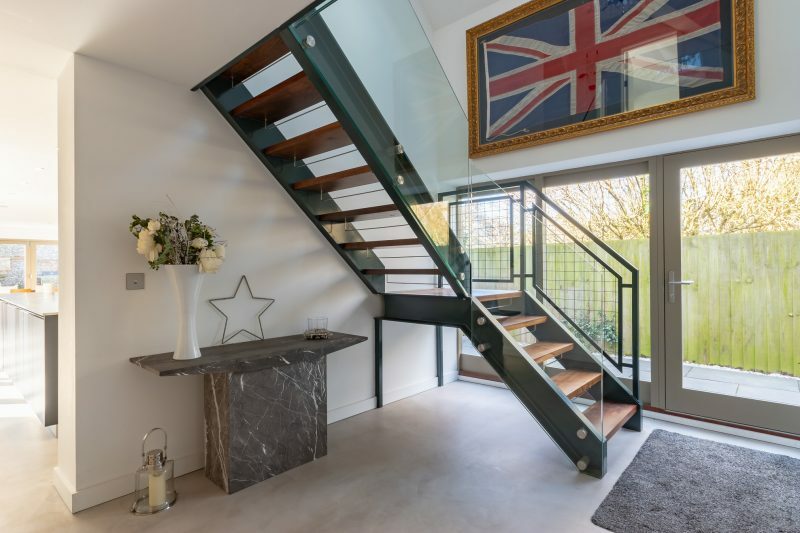 Entry to Thorpe Cloud is through a large glazed door into a stylish reception hallway with its amazing feature staircase leading up to the first floor and off this hall are all of the ground floor rooms. 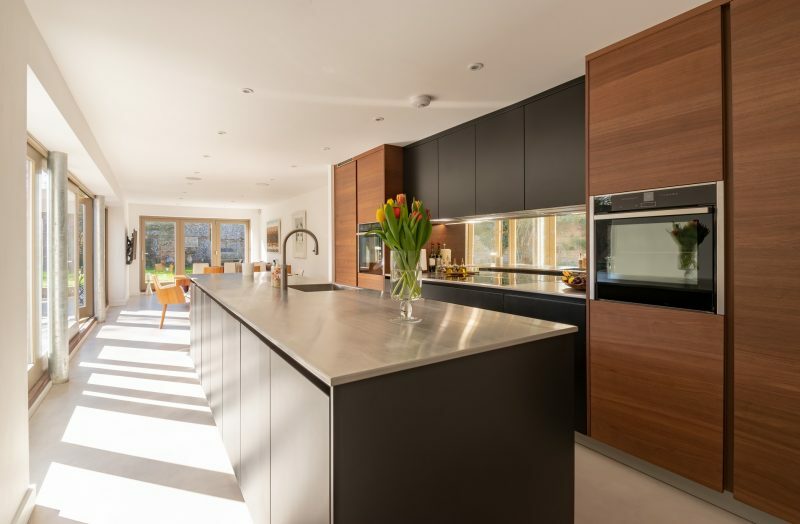 The largest room in the house is the spectacular kitchen/family room which oozes wow factor! 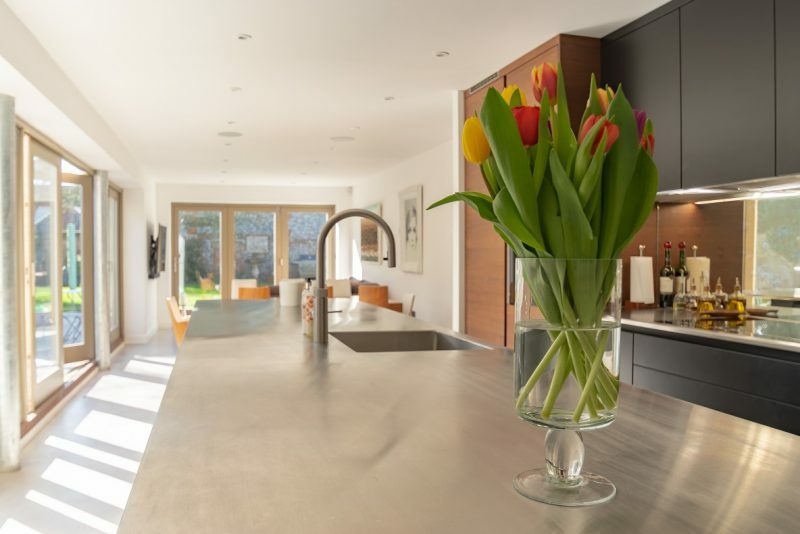 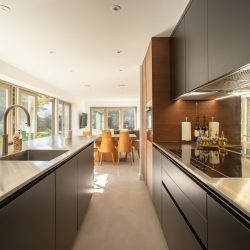 The bespoke kitchen is a holiday cooks dream with its stylish stainless steel worktops and high-end appliances. 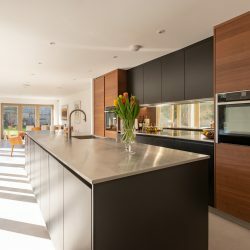 These include 2 Neff ‘slide and hide’ ovens (one of which has a steam cook function), a Fisher Paykel flush fit induction hob, integrated Siemens dishwasher a and a large fridge/freezer. 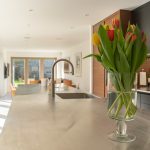 There is a Quooker ‘Fusion’ boiling water tap which is a superb feature dispensing boiling, hot, cold and filtered water and we adore the stylish distressed mirror behind the hob! 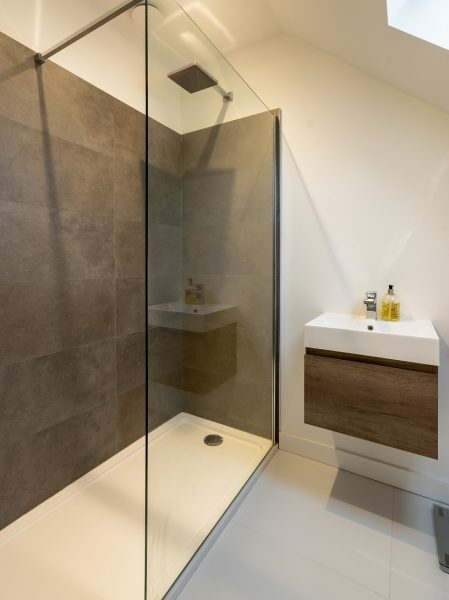 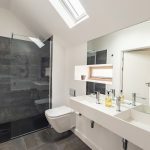 The washing machine and tumble drier are housed in a small adjacent utility room that also contains a separate sink. 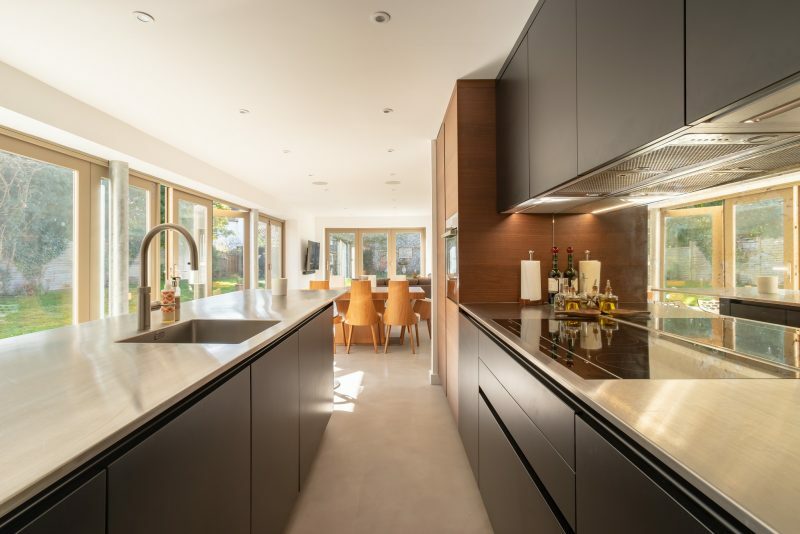 The kitchen is open to the lovely dining area and has 6-metre bi-fold doors that lead out on to the sun terrace and garden. 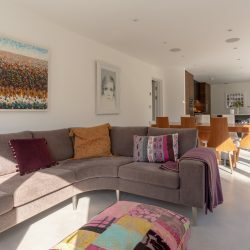 On summer days, with these doors open, guests can enjoy a wonderful inside/outside ambience with the terrace becoming a part of the house. 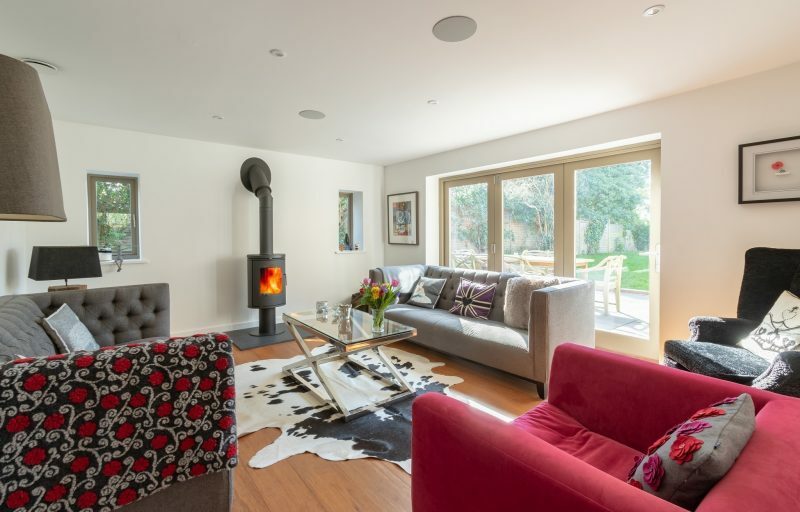 Completing this superb room is a comfy sitting area with a squishy L-shaped sofa and Sony 56in Curved Smart TV (with HEOS sound bar), the perfect place to hunker down with a bottle of wine and a good movie. 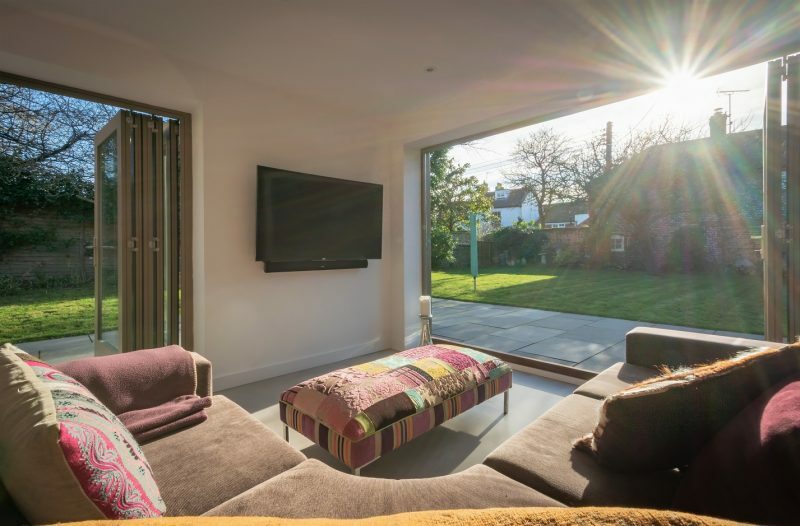 More bi-fold doors lead out from this area out on to the terrace and lawned garden. 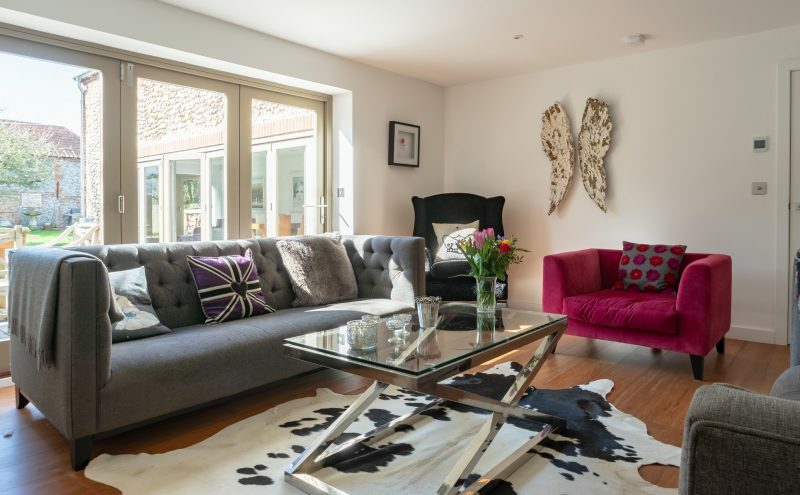 With the same eye for style and detail, the owners have decorated the more formal sitting room with neutral yet warming tones. 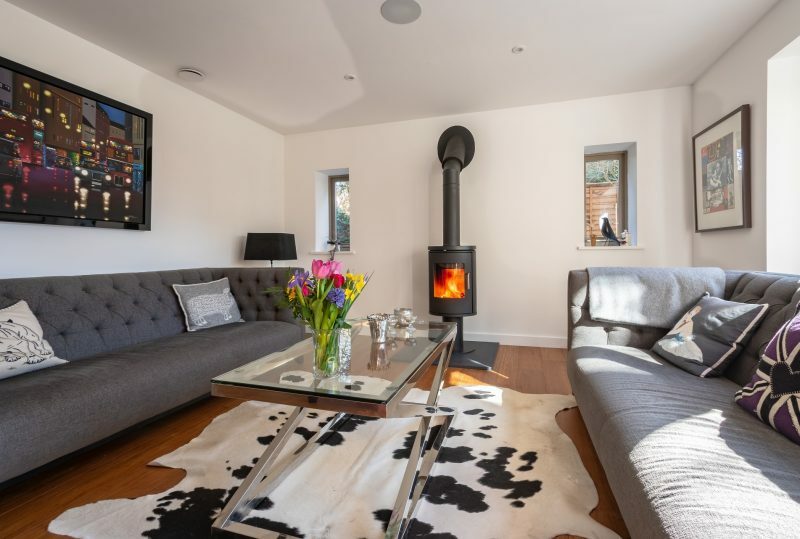 This room has two lovely comfy sofas and armchairs arranged around the lovely wood burning stove which is the focal point of the room. 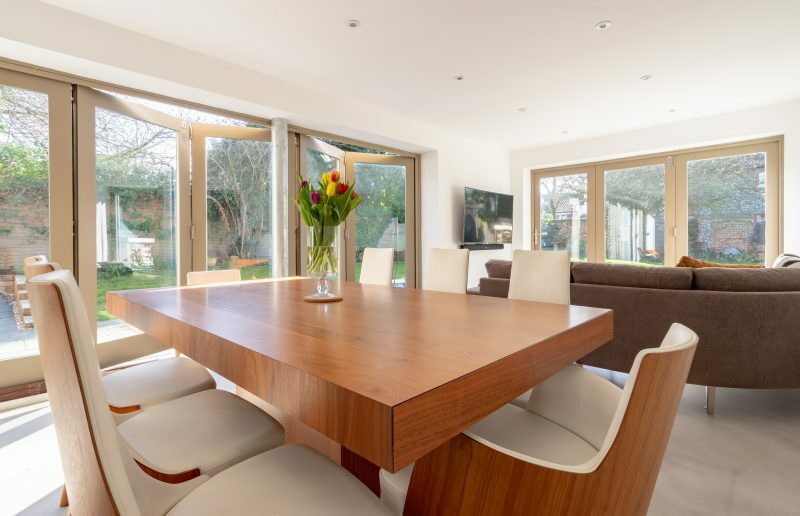 Yet more bi-fold doors open out from this room on to the sun terrace! 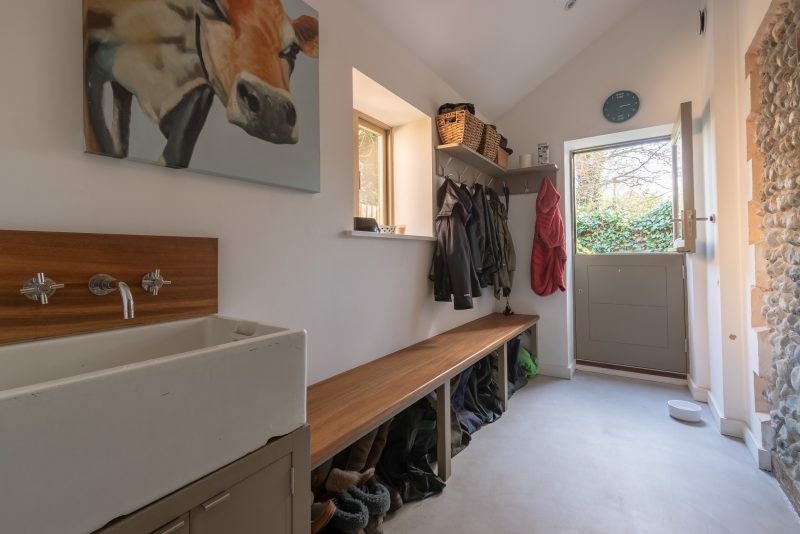 There is also a good sized dog/boot room with its own external stable door and butler sink (the perfect place for wet dogs) and a W.C. on the ground floor. 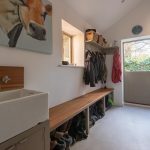 Upstairs the long corridor opens up into an office area which is ideal if you need to get a bit of work done in peace whilst staying at Thorpe Cloud. 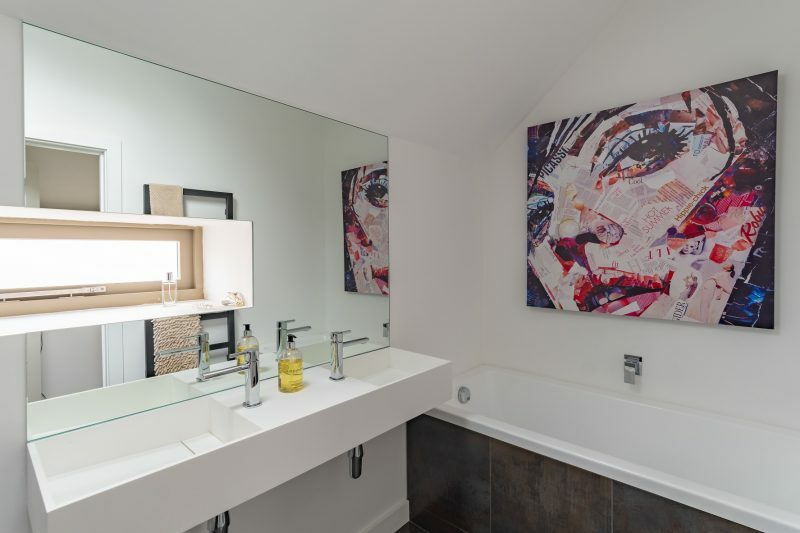 Off this corridor are three large bedrooms all with en-suite bathrooms. 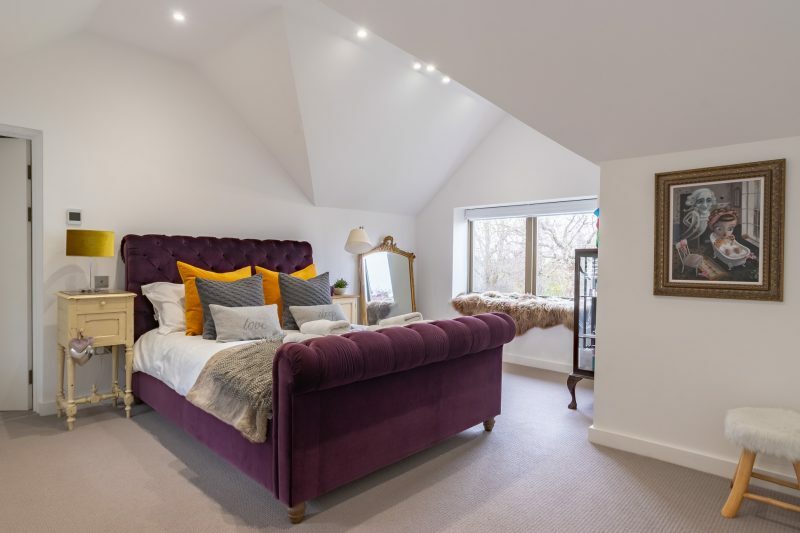 The master bedroom has a gorgeous purple velvet king-size sleigh-bed and a walk through dressing room that leads to the en-suite bathroom with a separate walk-in shower and large bathtub. 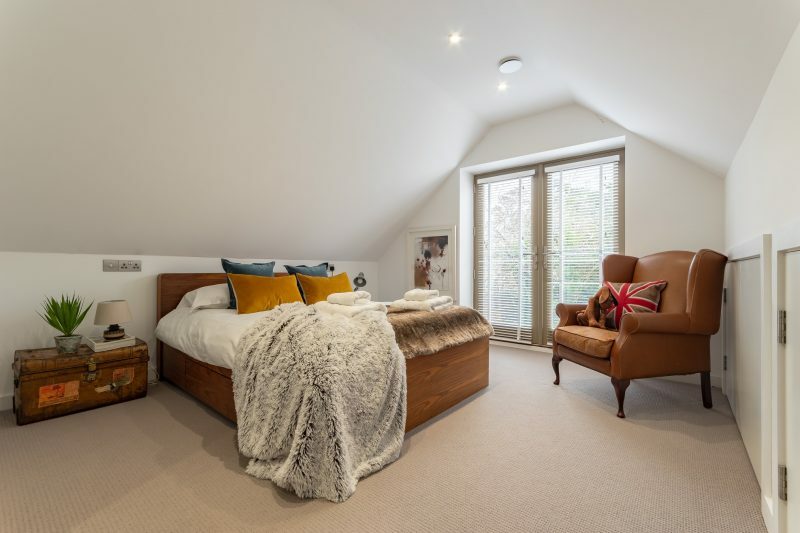 The window from this bedroom has distant saltmarsh and sea views. 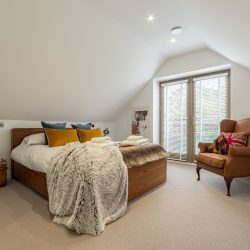 The two further bedrooms both have en-suite shower rooms, one features a king-sized wooden bed and a Juliet balcony that looks out over the front of the house, the other has a zip and link bed which can be made up as either twins or a king-size double (please give us 2 weeks’ notice of your preference). 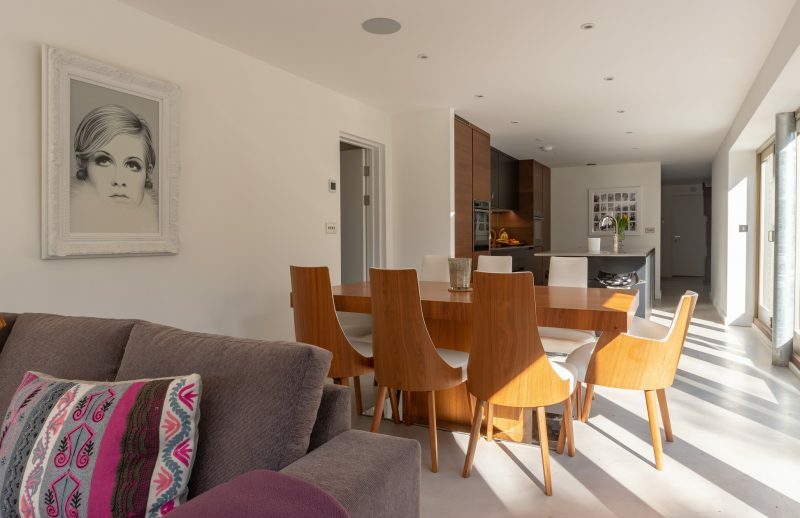 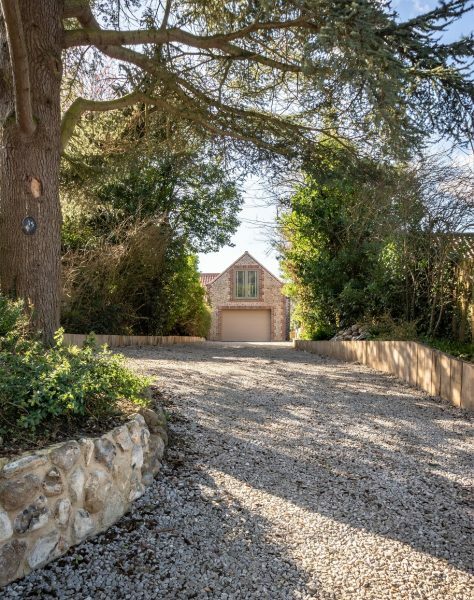 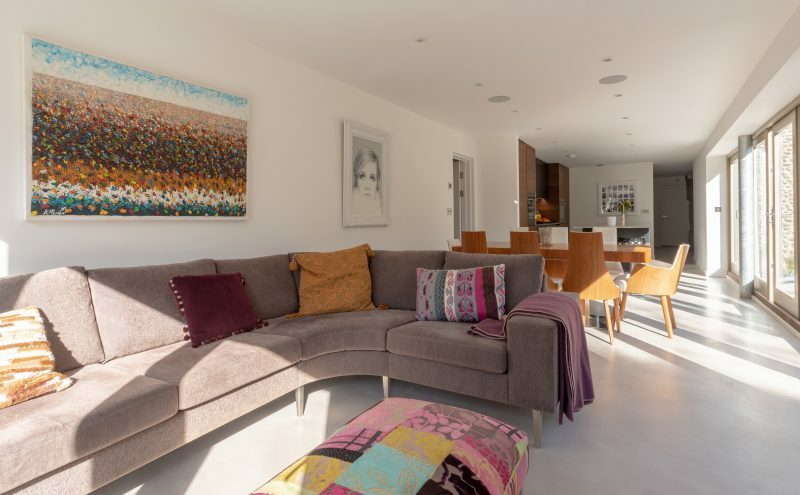 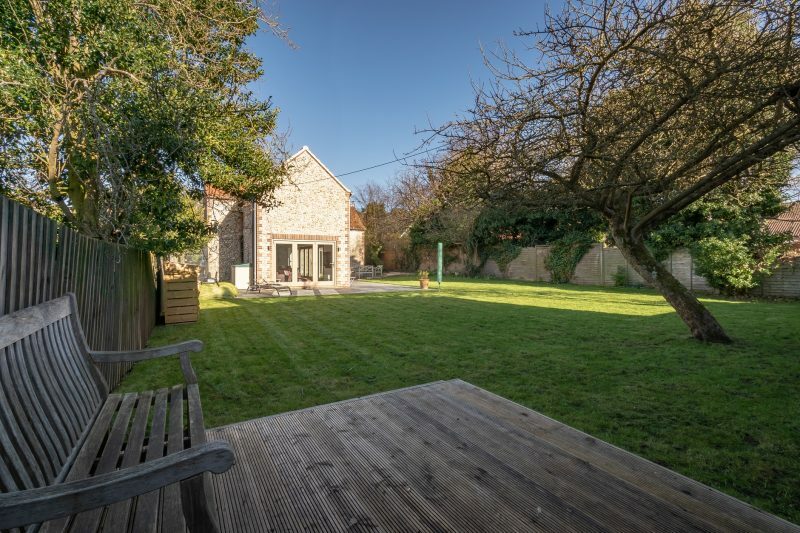 To the rear of the property and viewed from the huge bi-fold doors in the family room is the fully enclosed and private garden including a large terrace area with table and chairs for alfresco dining. 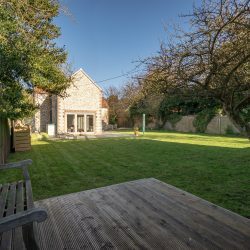 There is a lovely lawn which is surrounded by mature trees and shrubs giving both sun-drenched areas and dappled shade to suit all. 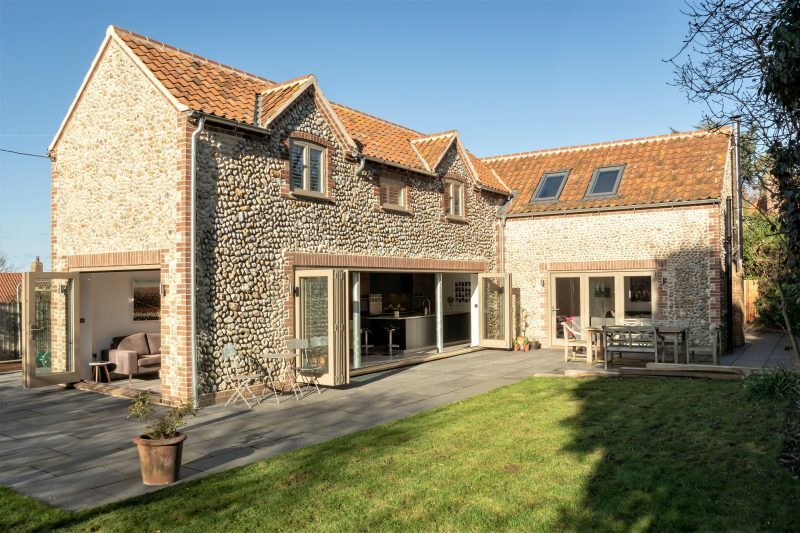 Words do not describe adequately the time and effort the owners have taken to turn Thorpe Cloud into such a wonderful coastal hideaway. 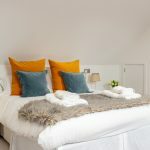 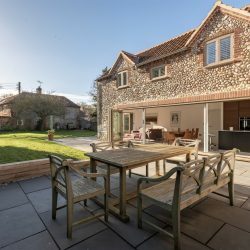 Do take a while to study the photos attached and you will see why we are so delighted to be able to include Thorpe Cloud into our portfolio of wonderful places to stay in North Norfolk.